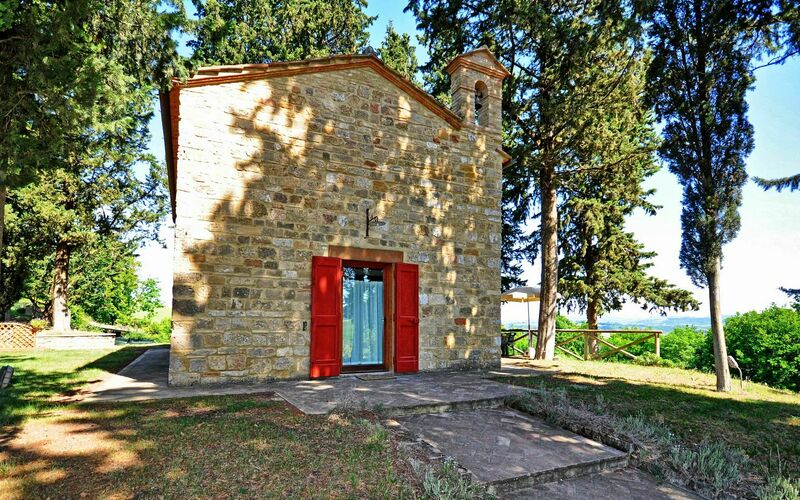 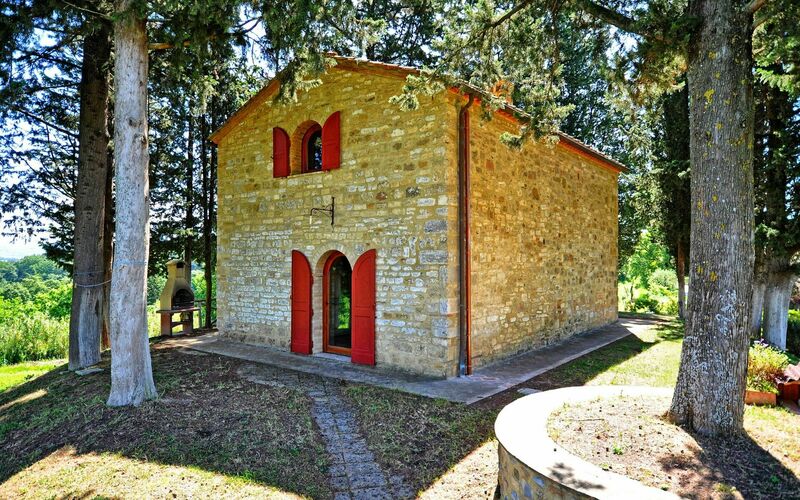 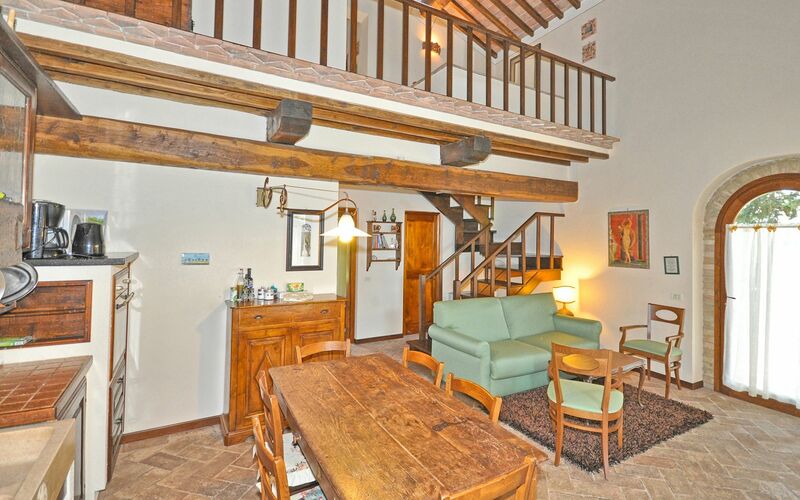 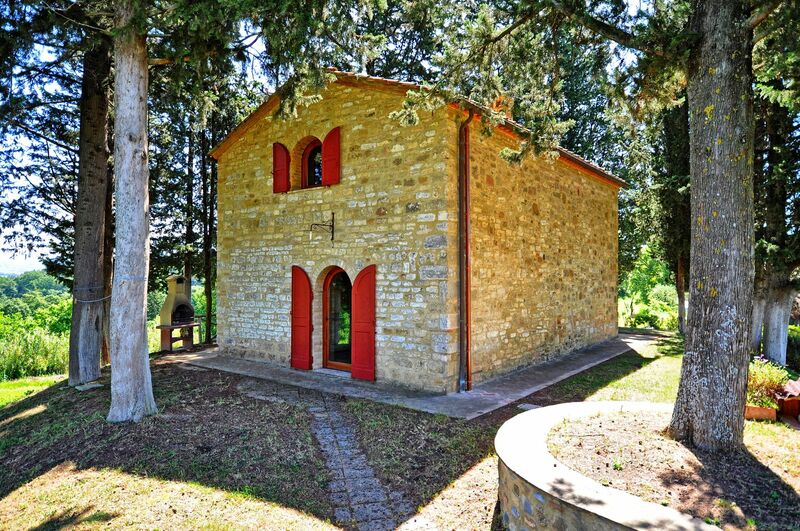 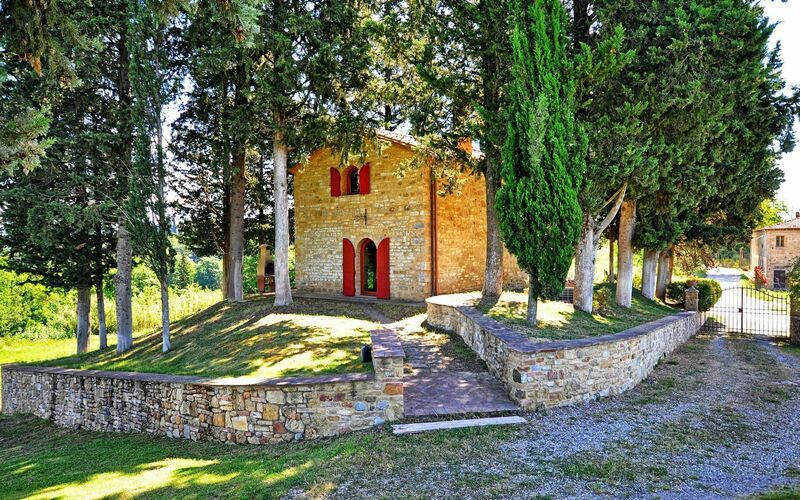 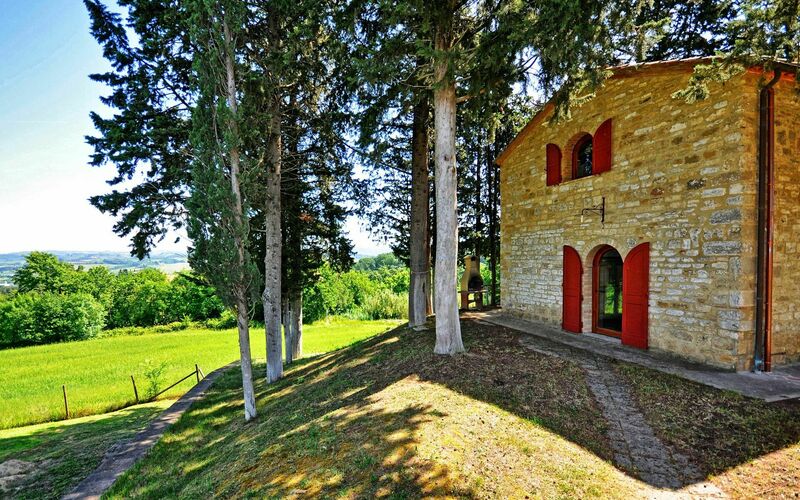 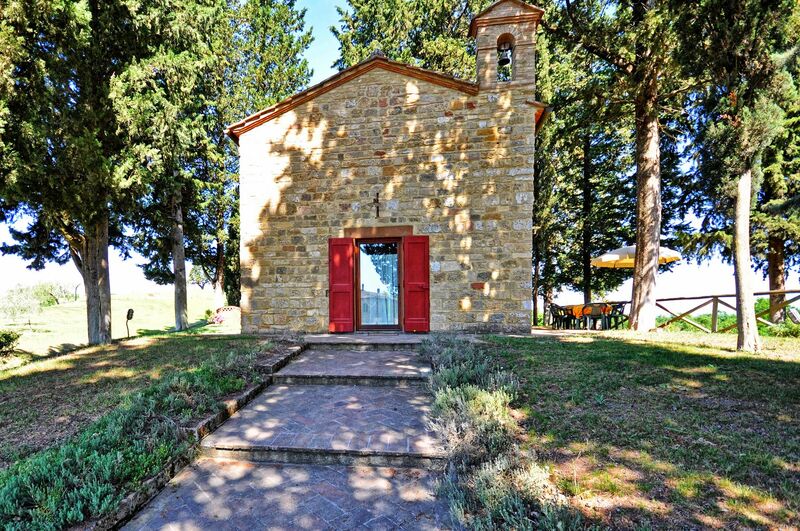 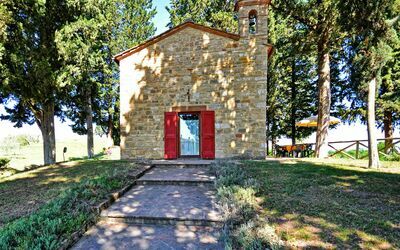 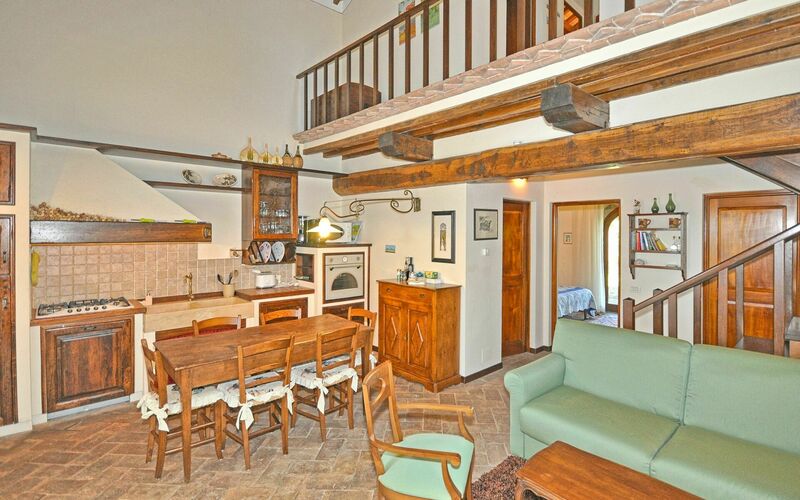 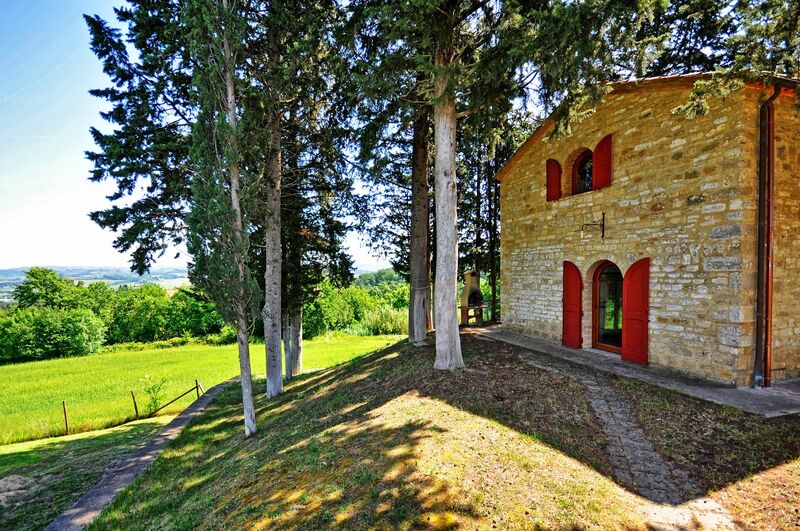 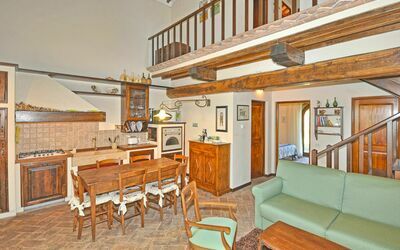 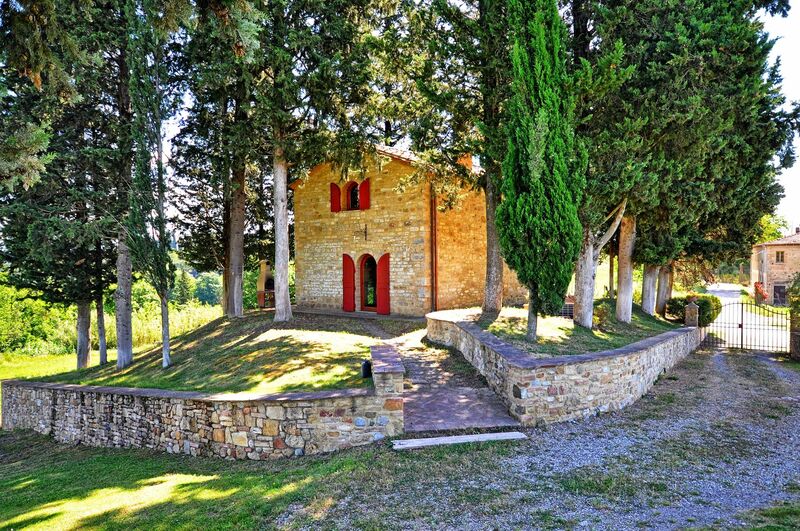 Historic building dating back to the 12th century, originally the chapel of the Santa Maria church, located a short distance from the hamlet of Casaglia, about 10 km from splendid San Gimignano. 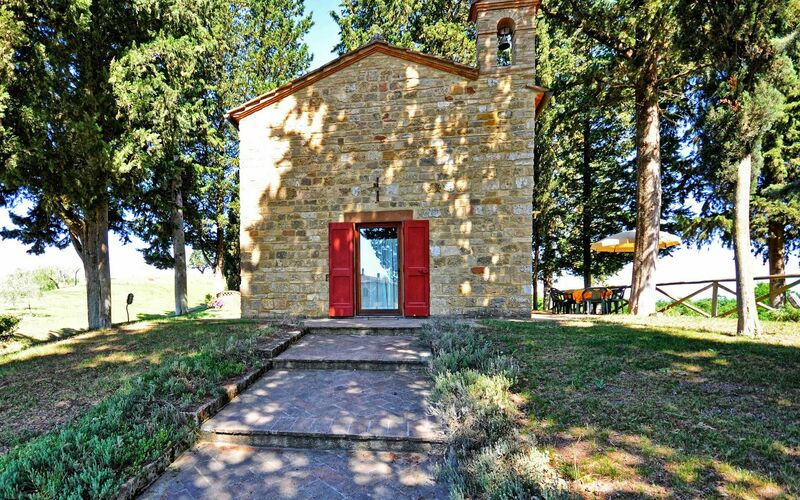 Over the centuries the chapel was deconsecrated, turned into a lookout tower, and then a place where farmers from the surrounding countryside gathered for country festivals. 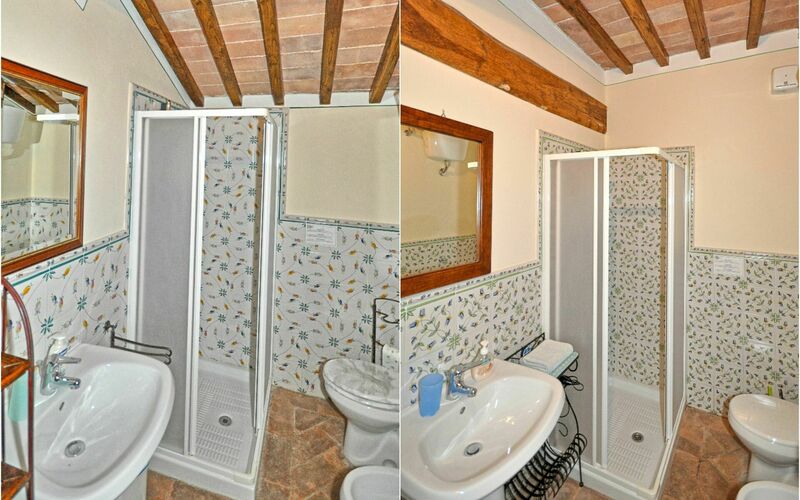 The owners restored the building themselves, using the same materials and leaving the original structure unaltered while being able to offer 3 bedrooms and 2 baths. The house is completely independent and surrounded by a cypress grove. 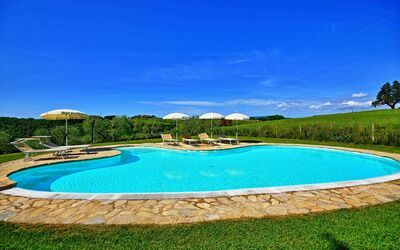 Uphill a few meters away there is a beautiful, panoramic pool reserved for guests' exclusive use. 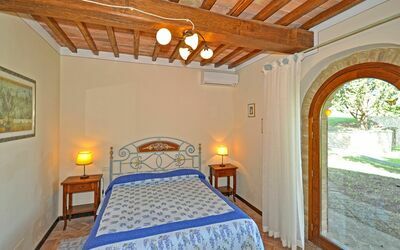 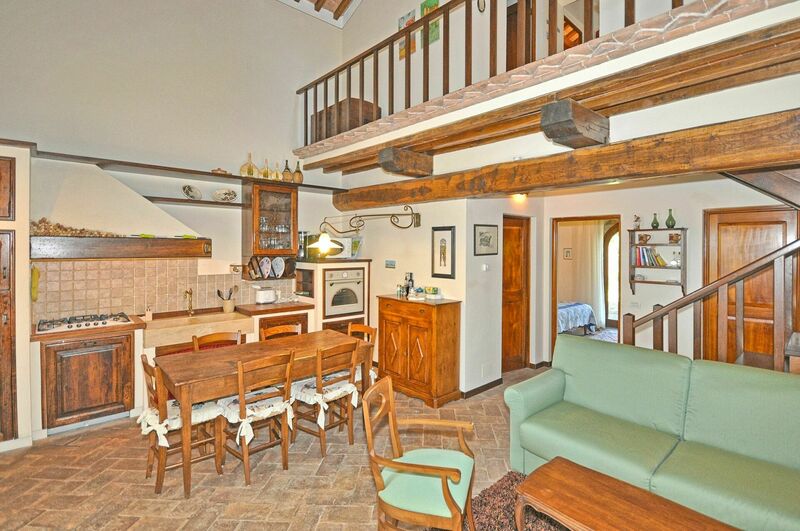 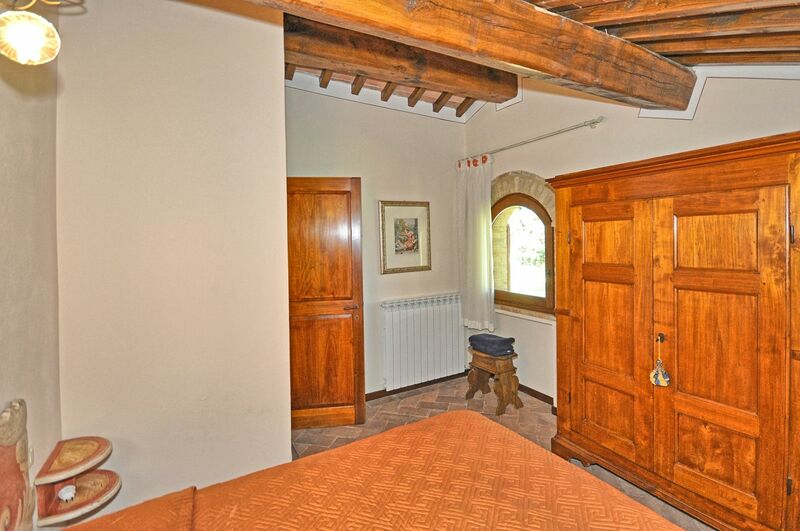 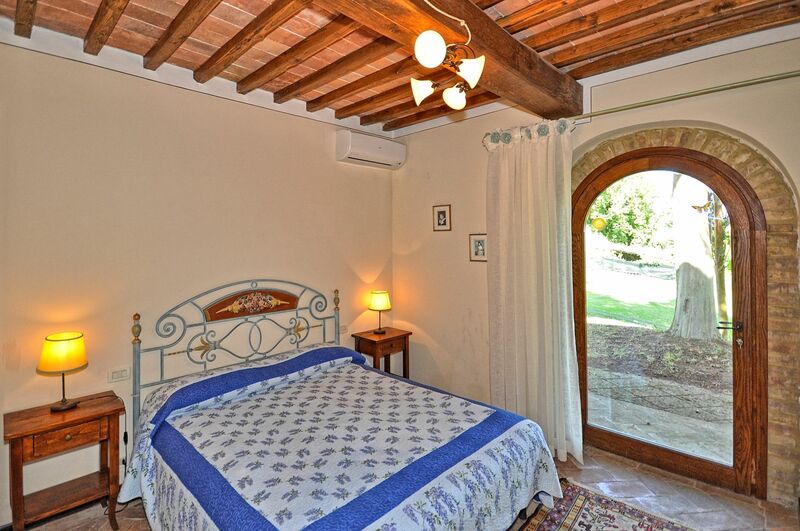 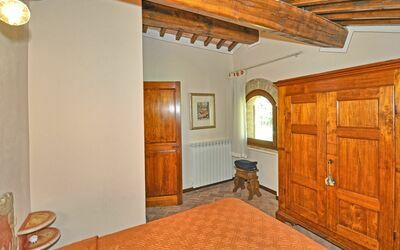 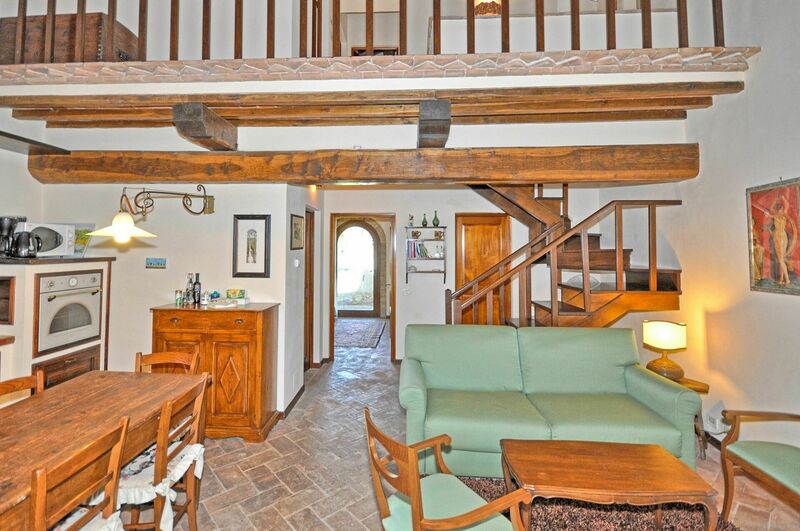 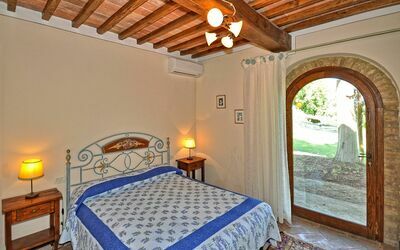 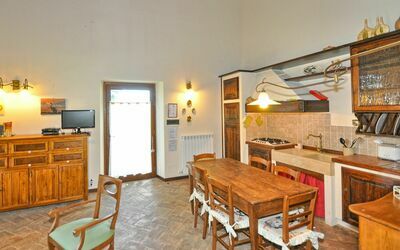 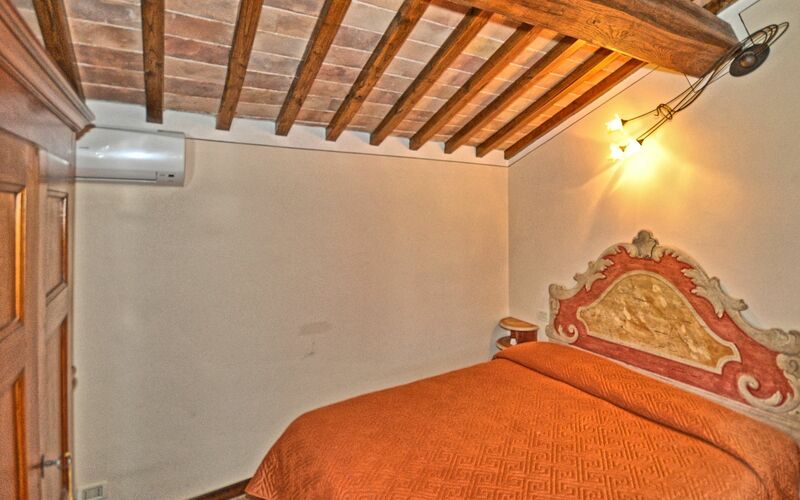 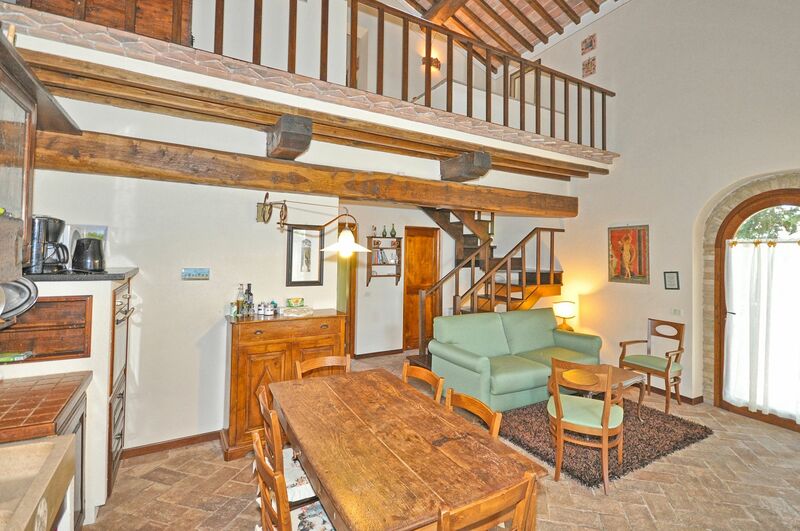 The house is furnished in comfortable, Tuscan style. 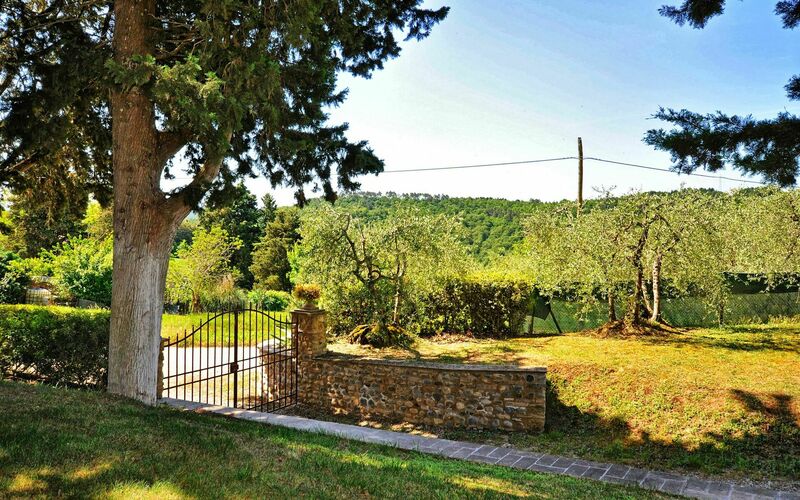 Access to the house is via an unpaved road in good condition. 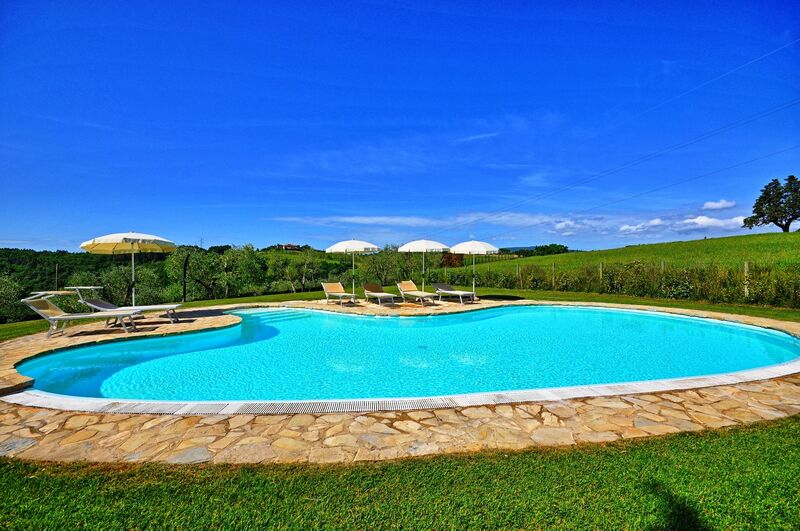 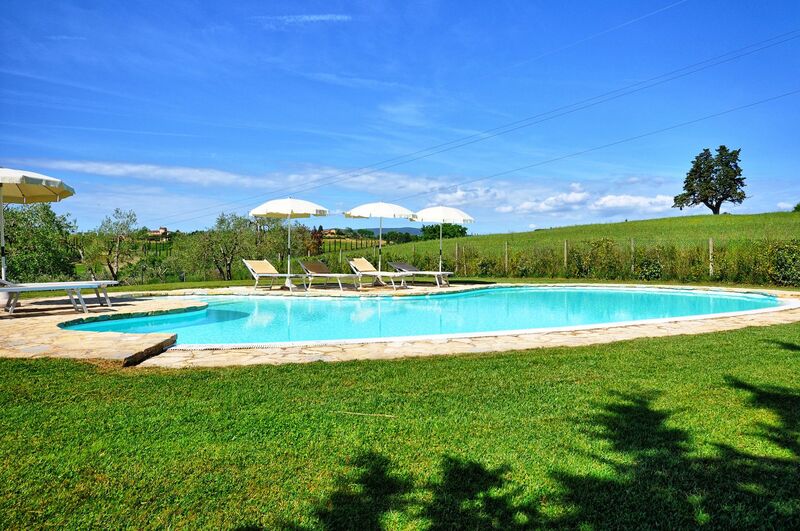 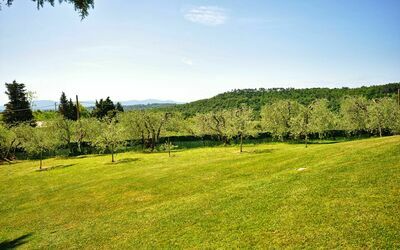 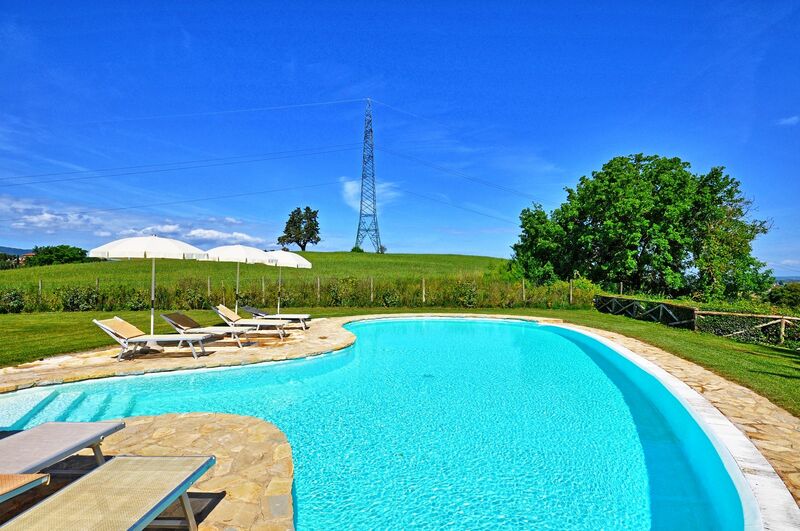 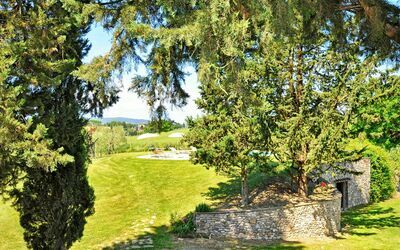 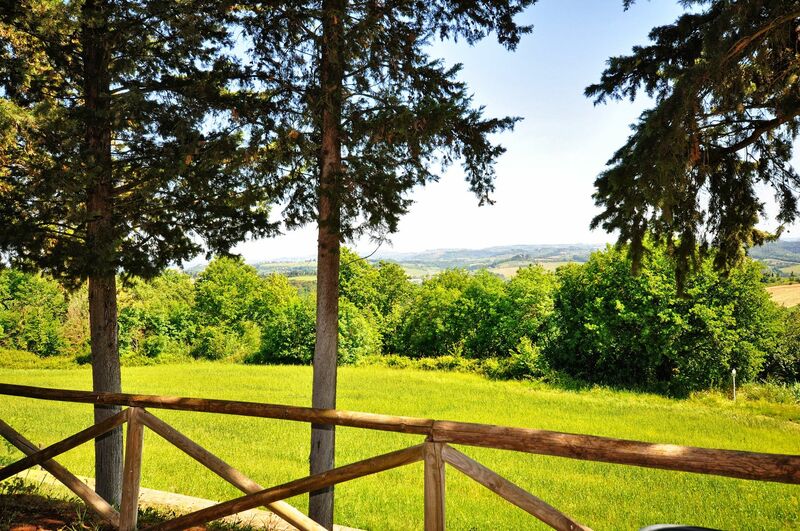 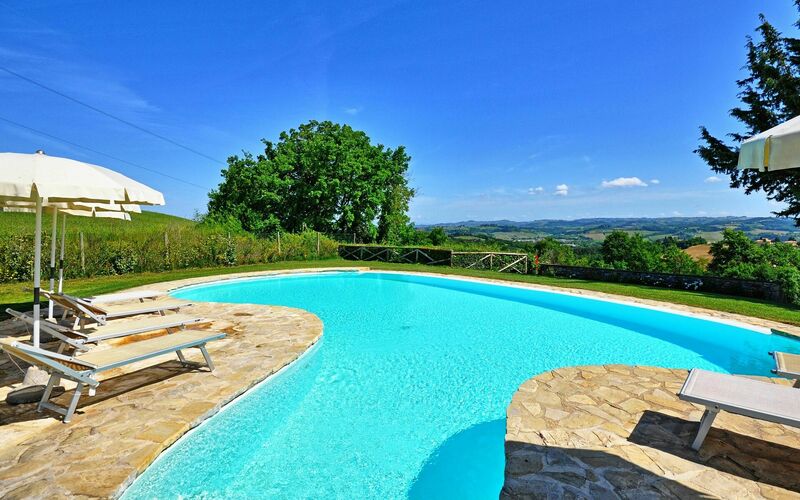 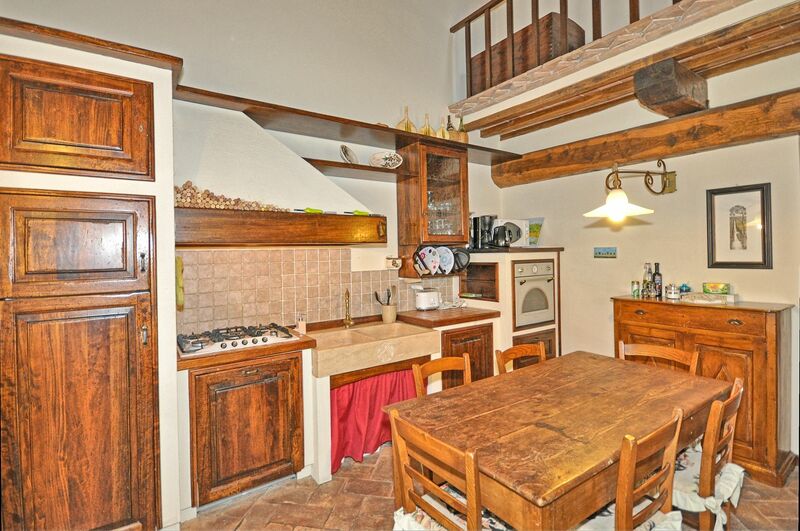 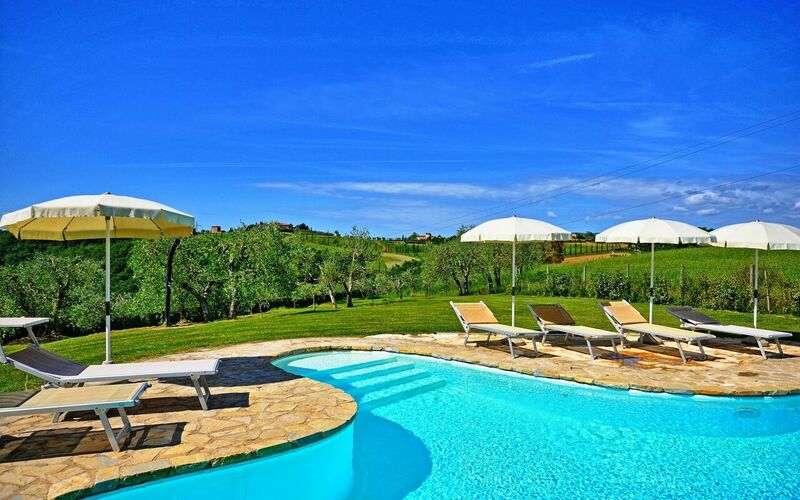 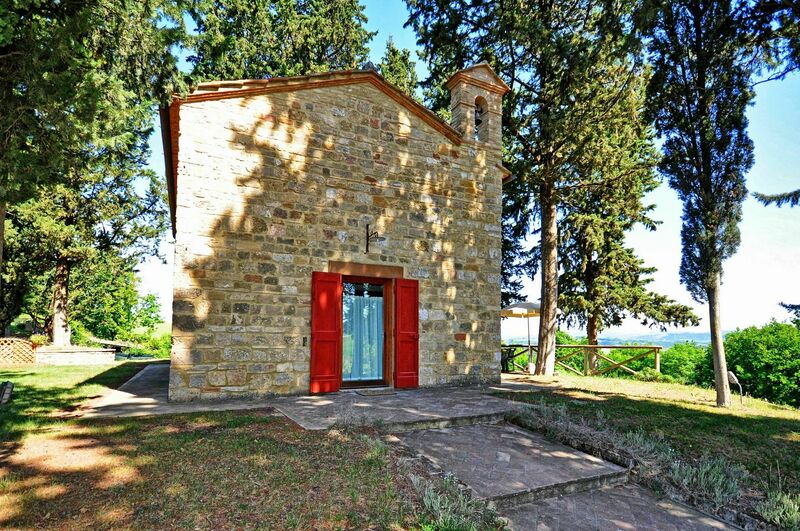 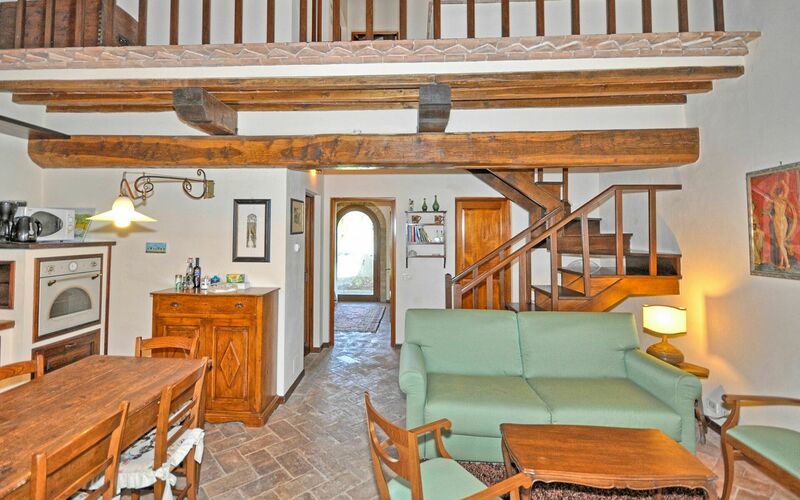 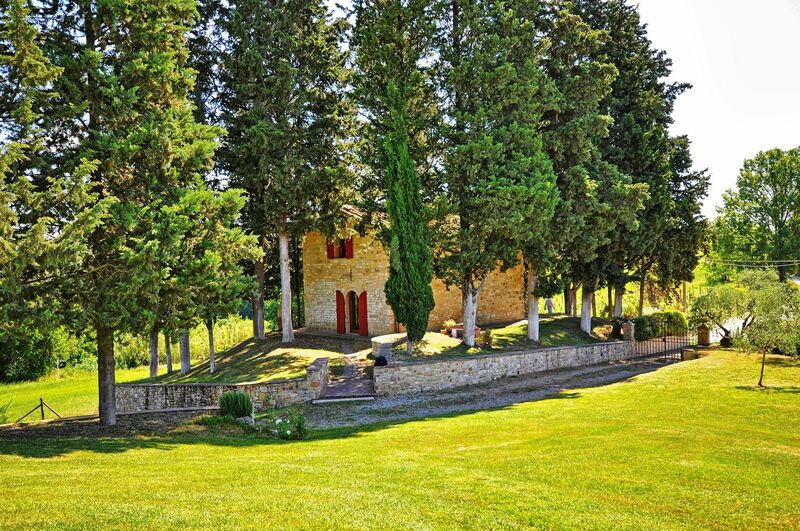 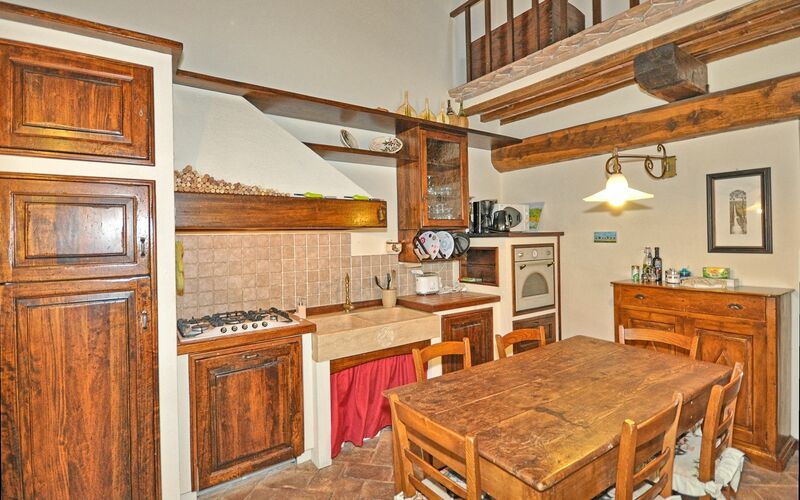 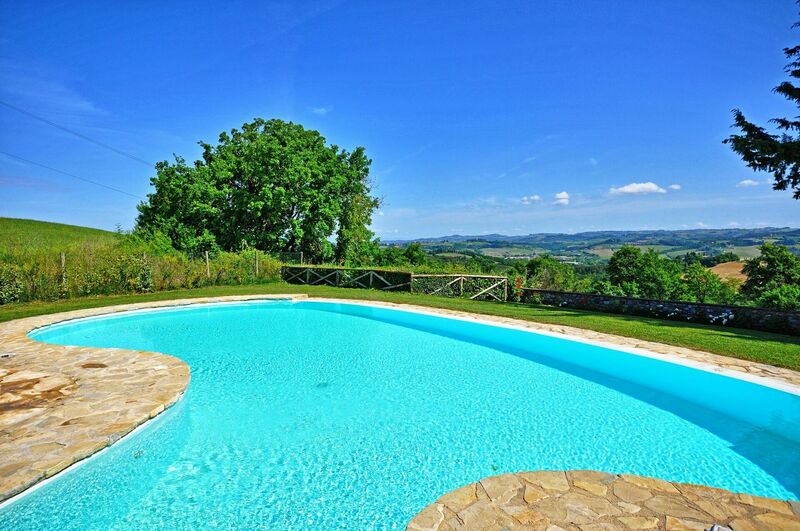 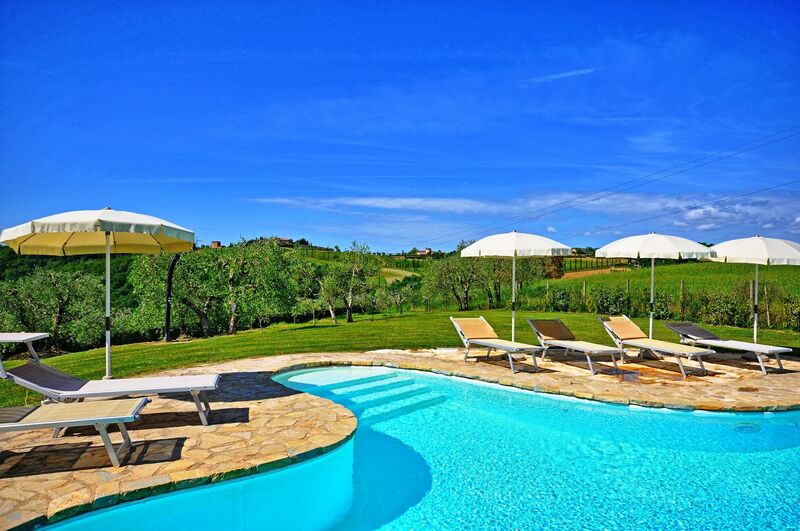 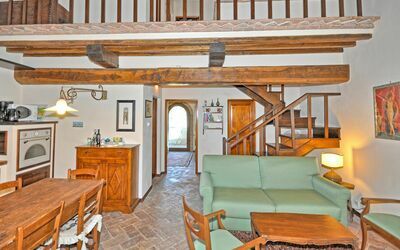 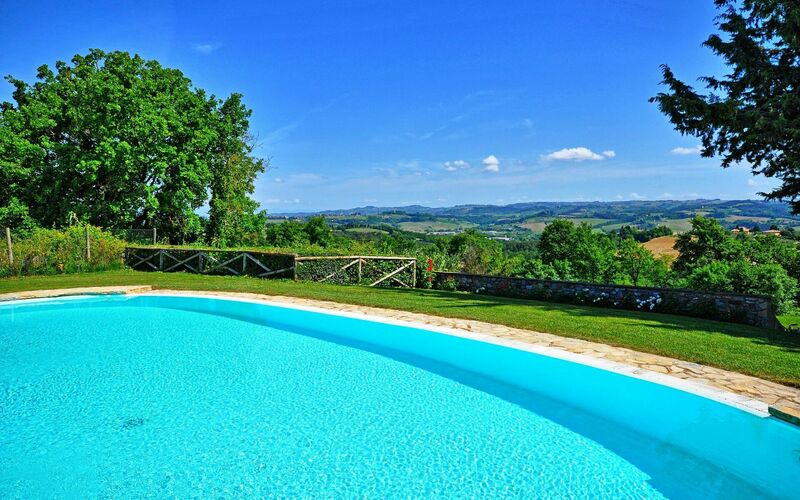 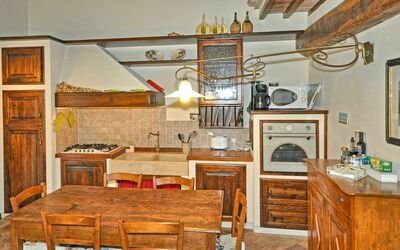 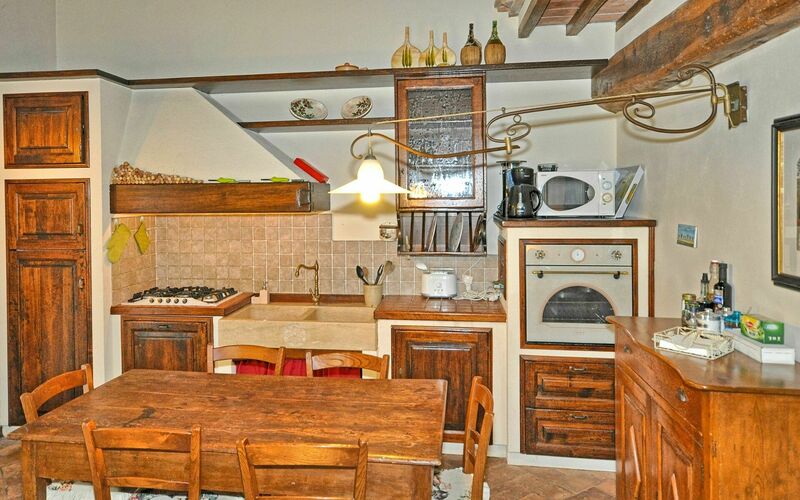 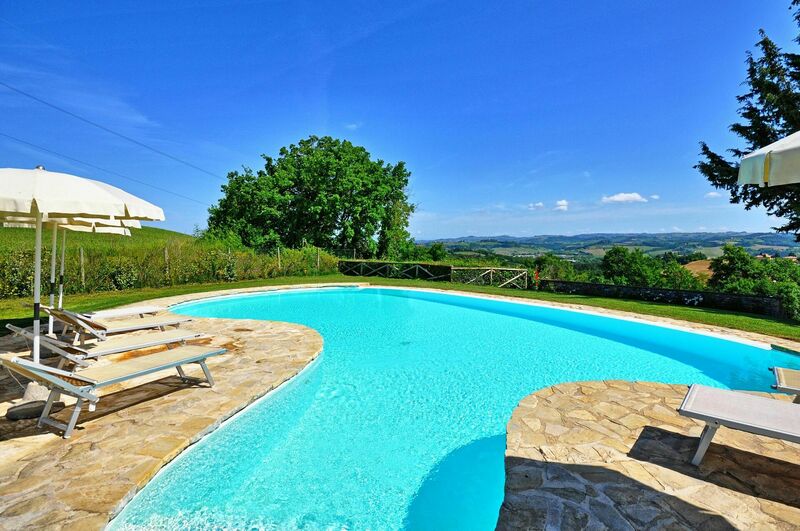 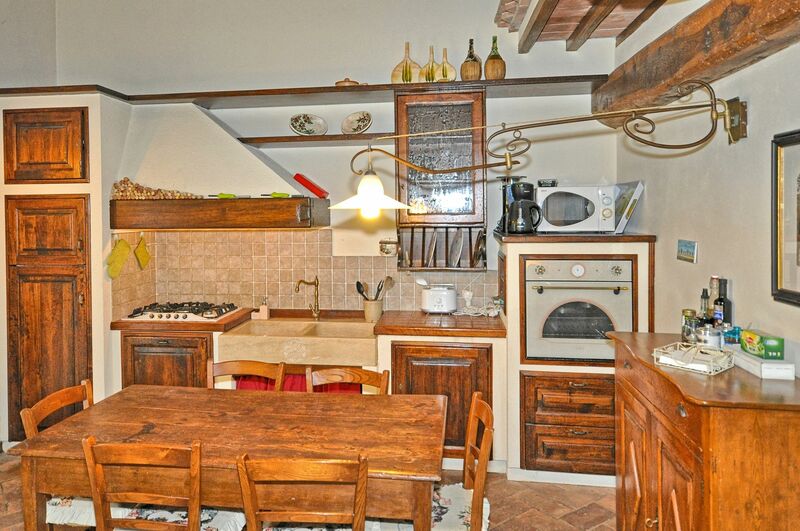 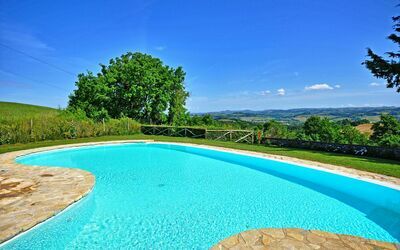 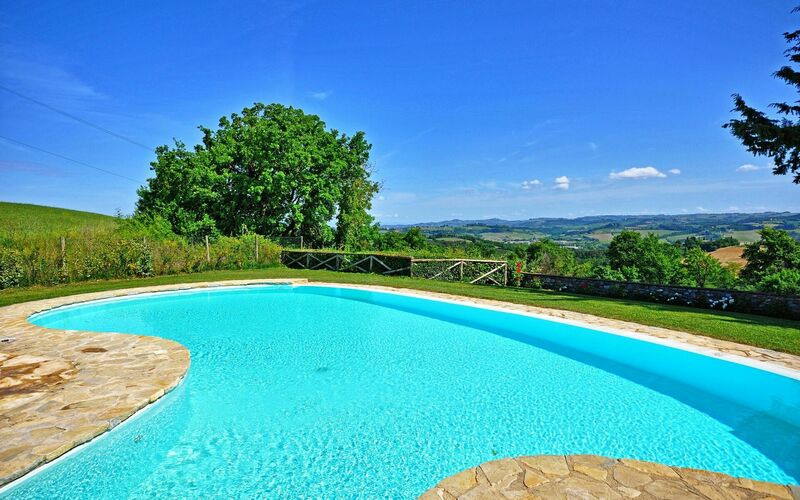 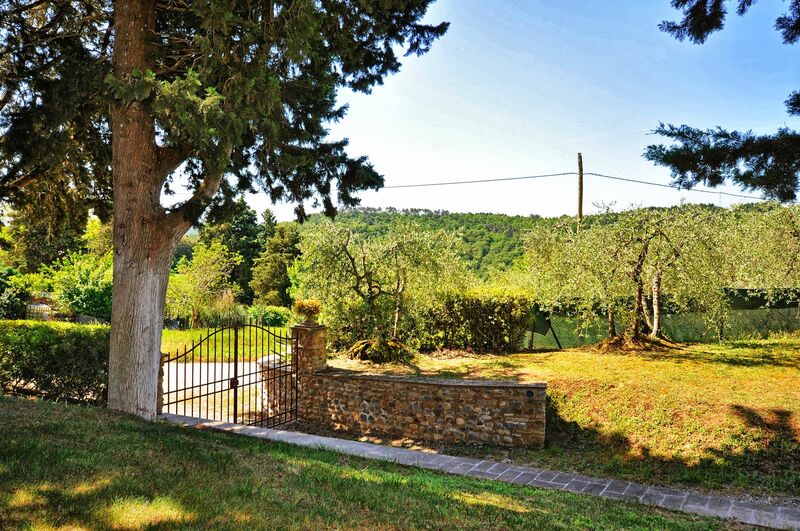 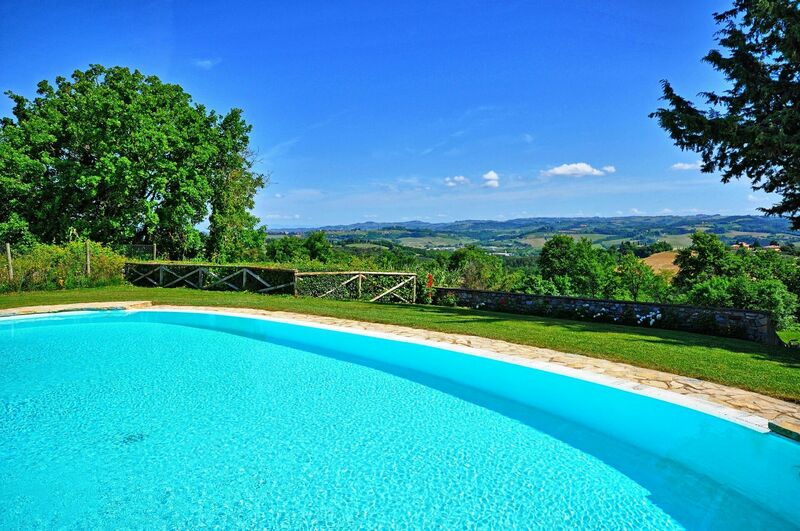 This property is ideal for those seeking a vacation in the beautiful Tuscan countryside, within easy reach of the entire region. 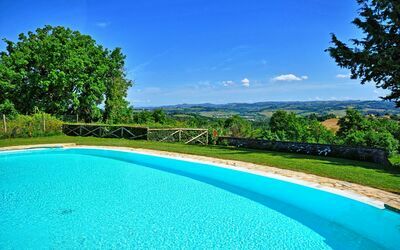 Distances: San Gimignano with shops of all kinds 10 km, Siena 35 km, Volterra 37 km away, Florence 45 km, the Tuscan coast (Cecina, Castiglioncello) is about 90 km away, Lucca and Pisa are about 90 km away, Arezzo 115 km. At guests' disposal: large outdoor space with pool reserved for guests' exclusive use (about 15 x 6 m - depth 1,50 m - open all year), outdoor shower near the pool. The house offers WI-FI internet connection (free of charge), air conditioning in all the bedrooms. 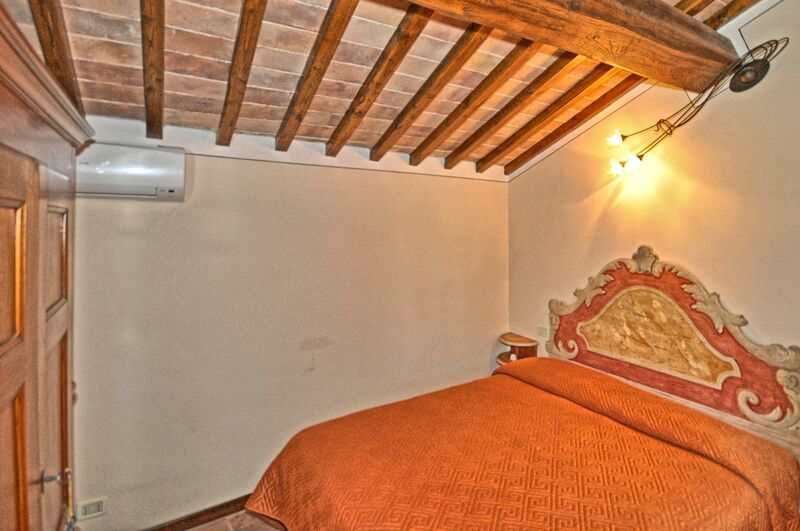 Extra services: Baby bed available upon request (free of charge). 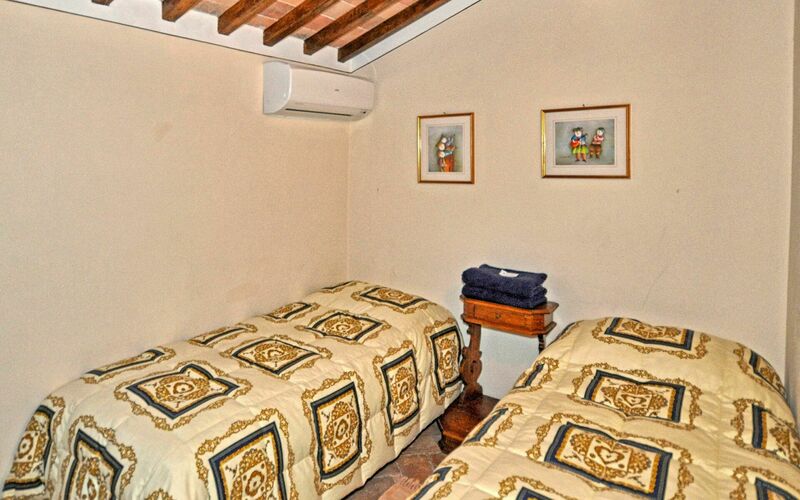 Small pets are permitted upon request only. 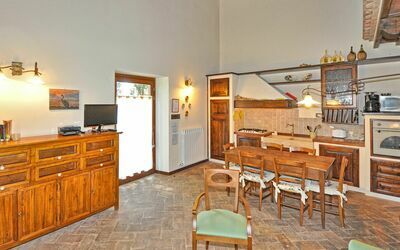 Ground floor: entrance onto the living room (satellite TV, DVD) with dining area and kitchen corner (oven, freezer, microwave, dishwasher, American coffee maker, toaster), bathroom with shower, room with washing machine, double bedroom with direct outdoor access. 1st floor: double bedroom, bedroom with 2 single beds, bathroom with shower. 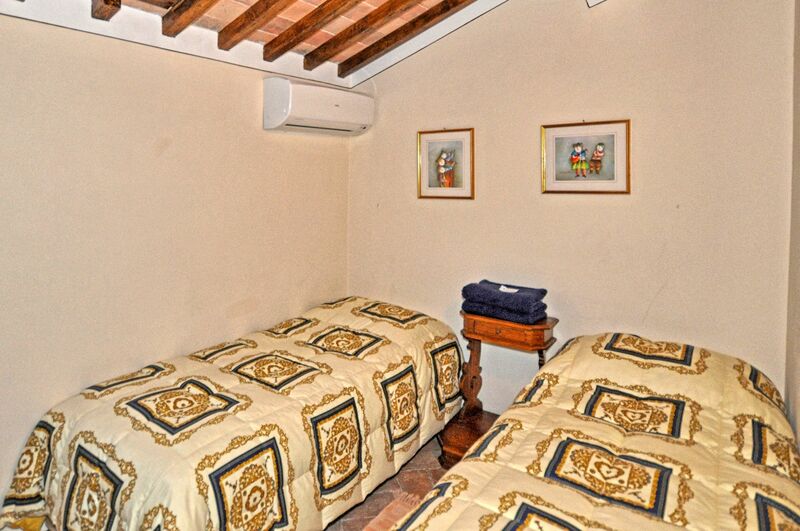 All of the bedrooms have air conditioning.